If you bring your lunch into the office each day, you need a reliable lunch box to carry everything. The colorful products you carried back in school may not exactly look right in a grown-up office setting. 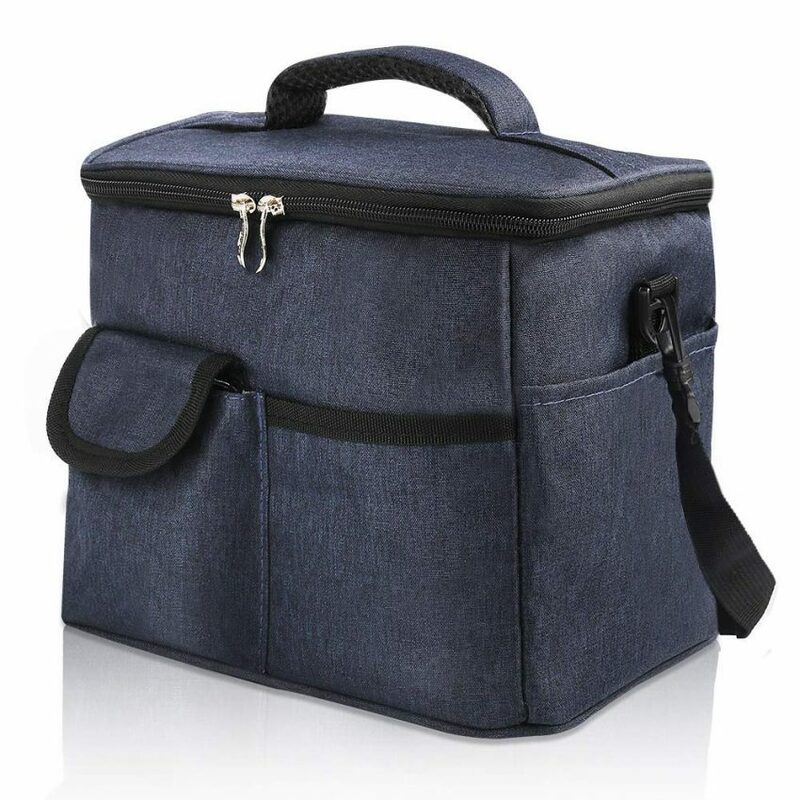 Here are some professional lunch boxes you can consider for office use. Insulated Lunch Bag by Vencia Supply Co. 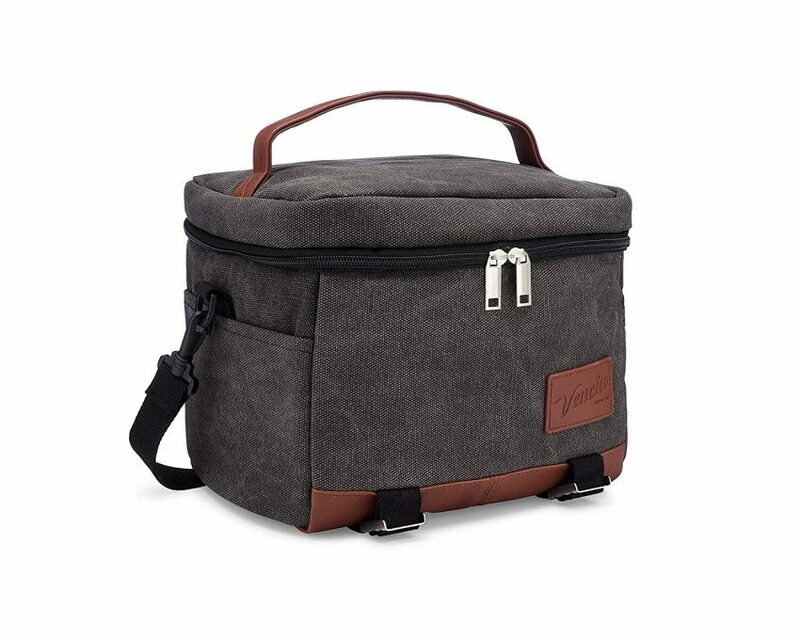 This option is an insulated cooler that’s made with a distressed gray fabric and faux brown leather for a distinguished look. 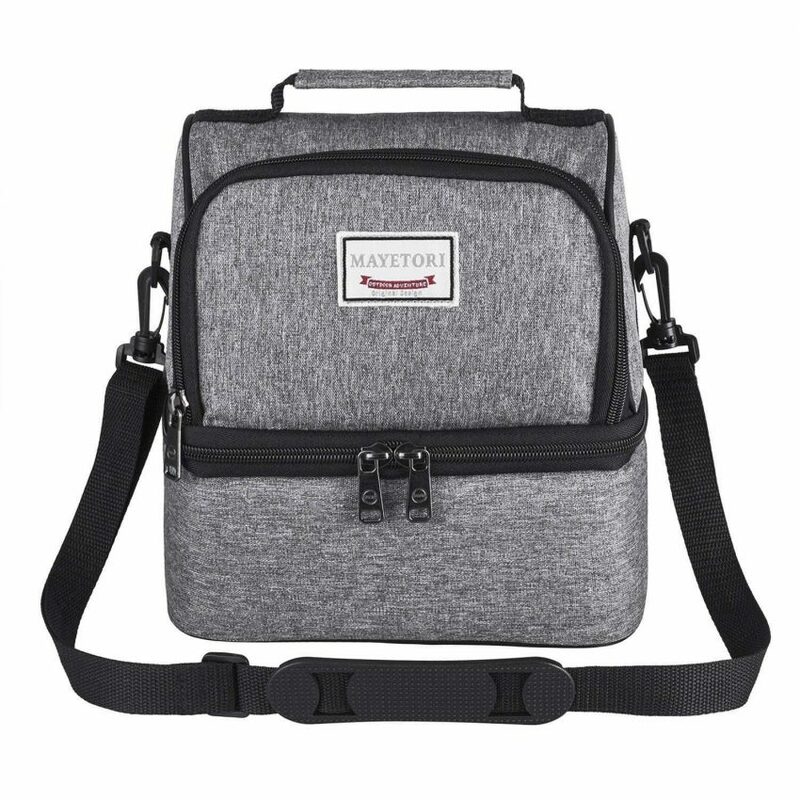 It also has a detachable shoulder strap for easy carrying. 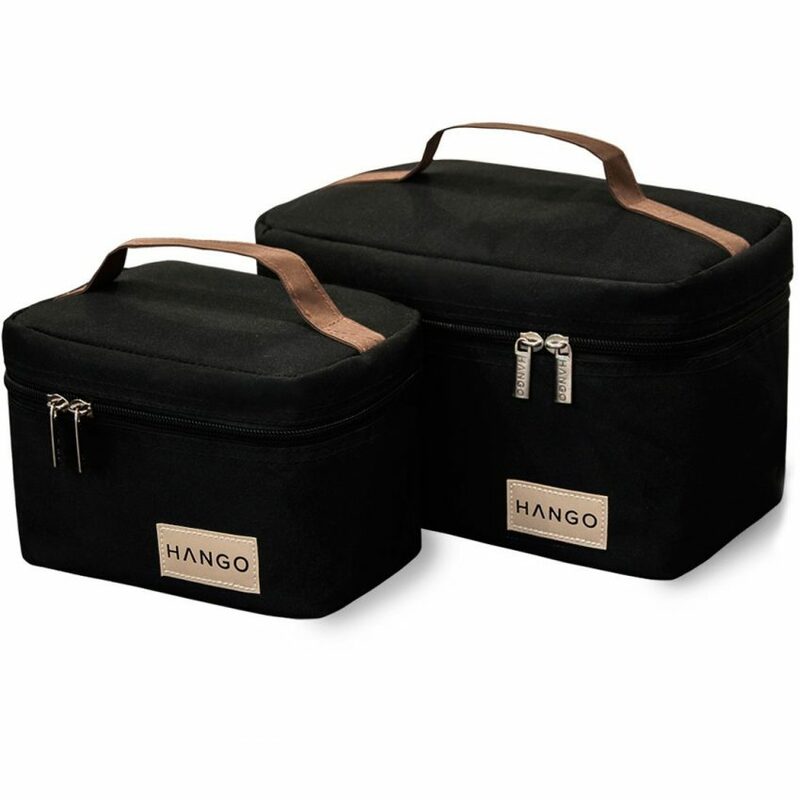 More than just a lunchbox, this set comes with an insulated bag along with three stainless steel containers perfect for carrying different dishes, sides, or condiments. This bag is insulated and waterproof to keep its contents protected. 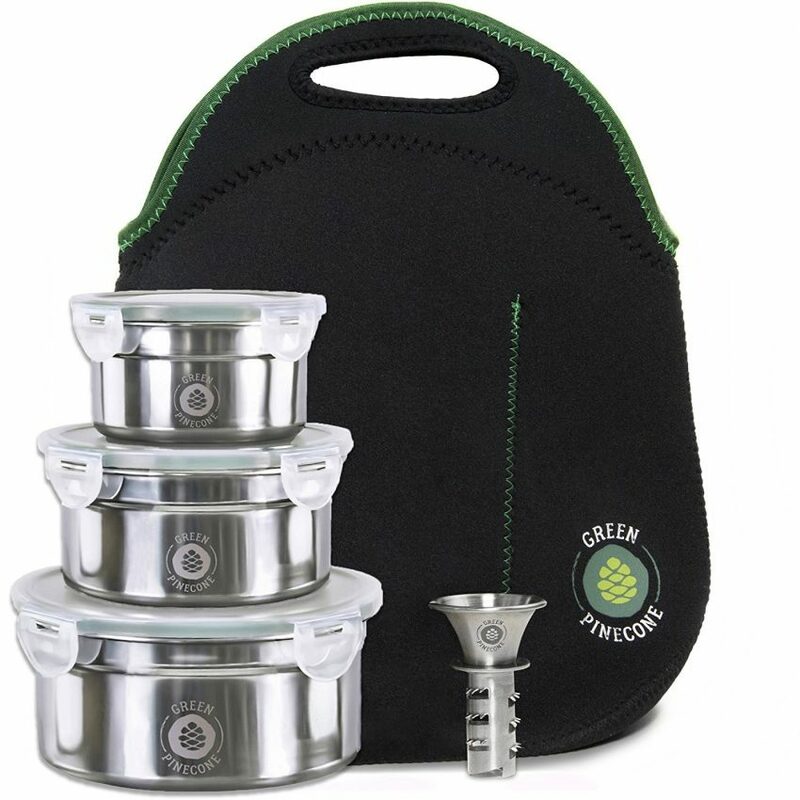 It’s large enough for multiple meal prep containers and comes in several color options. An affordable option with a zippered pouch, outer pockets and a dedicated ice pack, this bag has a pretty feminine design that’s available in a number of colors and styles. 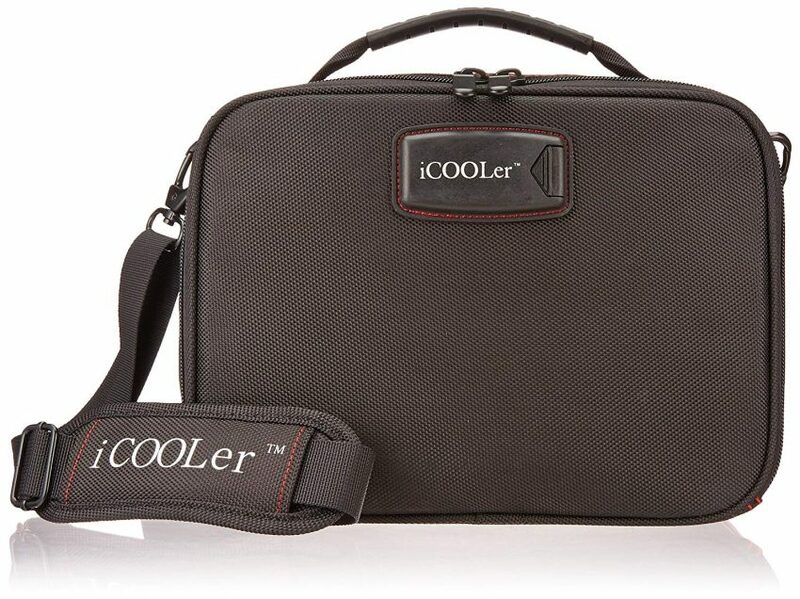 This cooler bag is durable and sturdy enough to keep a large lunch safe inside a busy office fridge. It opens from multiple directions and has a few different compartments to hold different dishes. 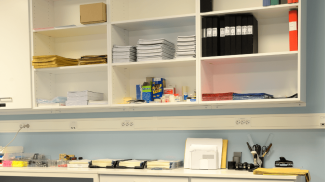 This option is larger than many of the other available products, but is still fairly thin, so you don’t have to carry around a bulky cooler or squeeze an inconvenient container into the office fridge. 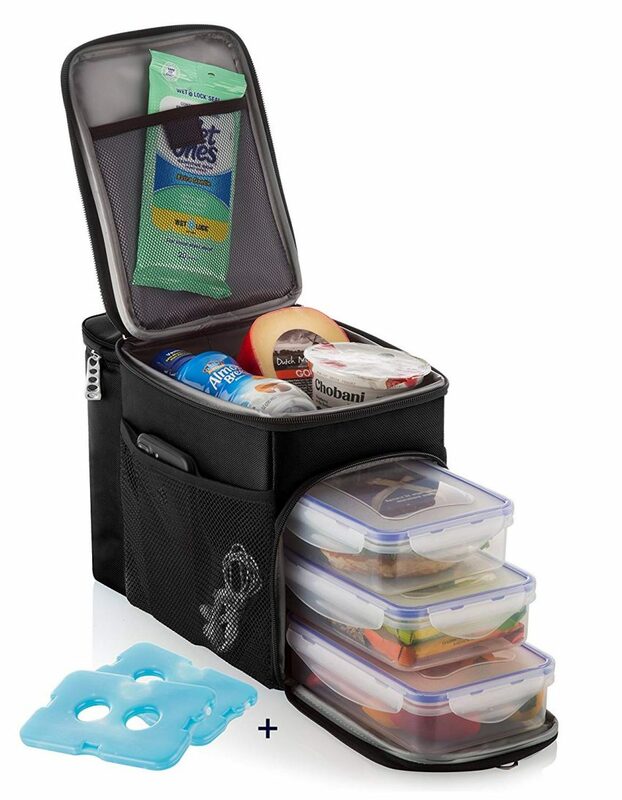 The open design of this lunch box allows you to fit a decent sized container, but it also has several pockets and compartments for you to hold sides, cutlery, ice packs and more. 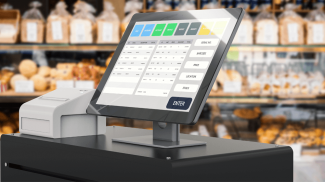 This product is fairly simple but also one of the more affordable options available. It could be a good choice for someone looking for a really bare bones insulated bag. 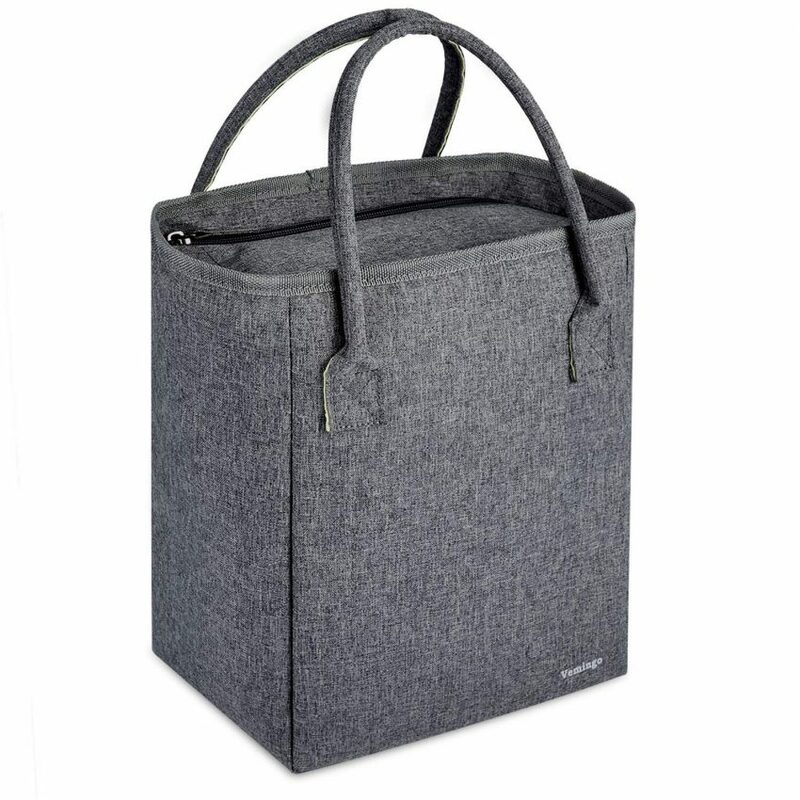 A basic and affordable option, this Dareyou bag is plain gray and durable enough to go in the fridge or freezer. It can also fold down to take up less space when not in use. This option actually includes two sizes that are both made of neutral black and brown fabric. 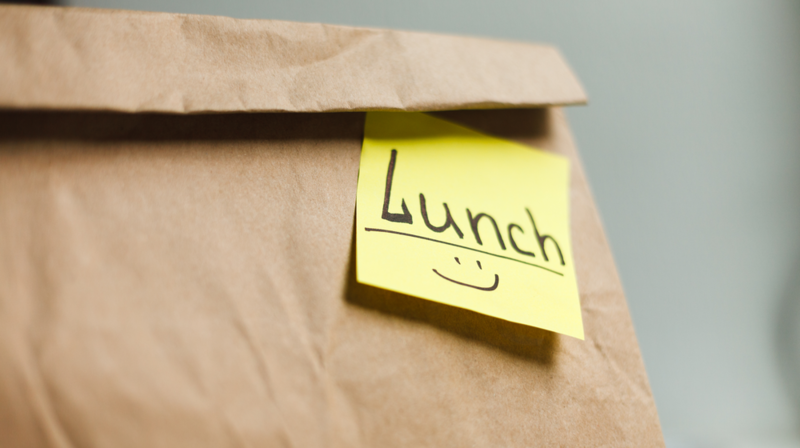 So you can have multiple options to choose from depending on the size of your lunch for each particular day. If you want a lunch bag that doesn’t look much like a lunch bag but more like a designer purse, go with this Juliette Darras product. It has an insulated interior but can be used for a number of purposes. A pretty basic insulated bag, this option comes in a few different colors and is sturdy enough to hold up to daily use. It also has a few different compartments to separate different types of food. 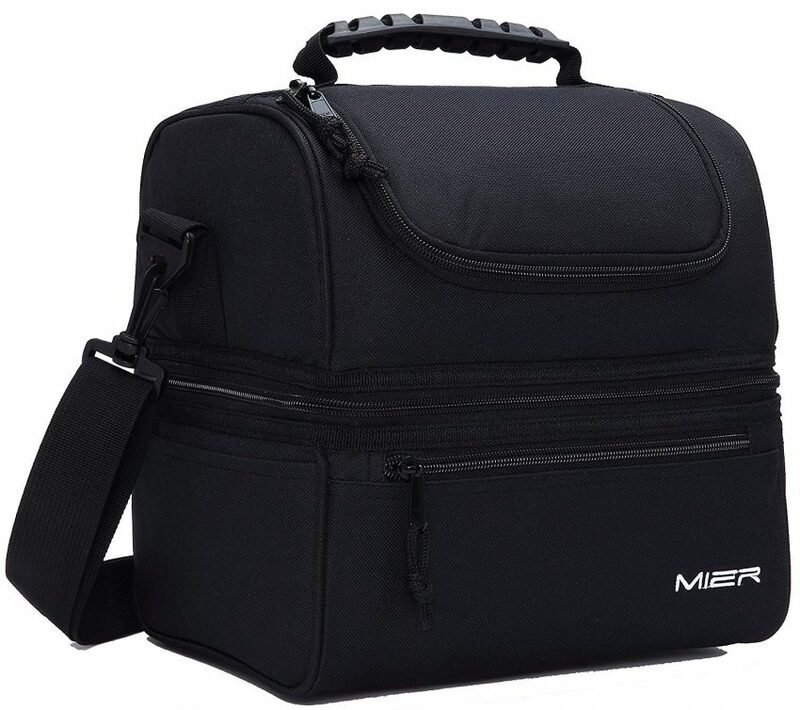 This lunch bag has a classic design and looks a bit like a standard briefcase. 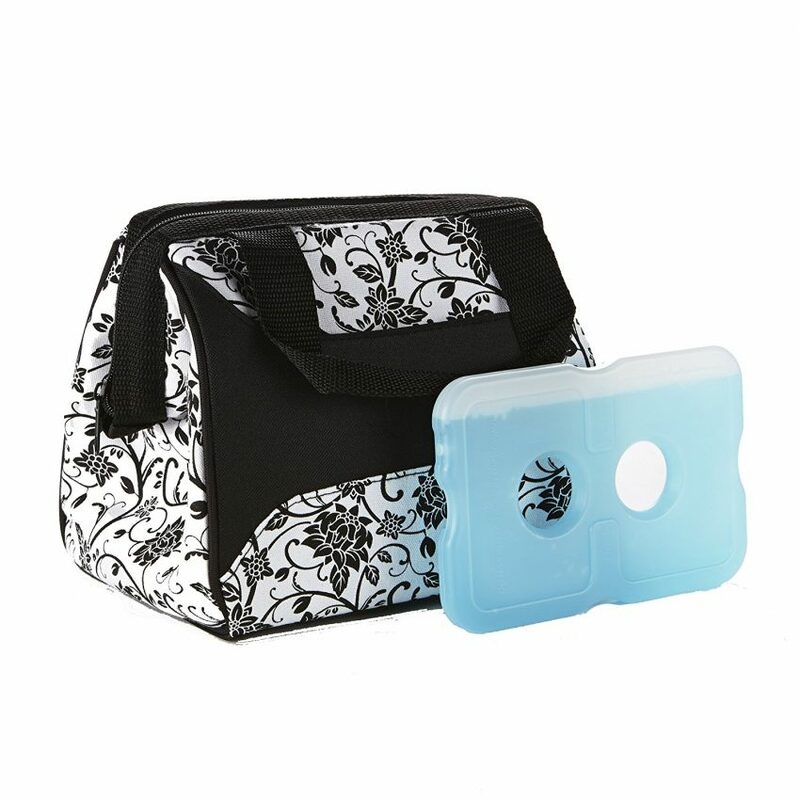 It has built-in freezable gel packs so it can keep your food cold throughout the day without additional ice packs. 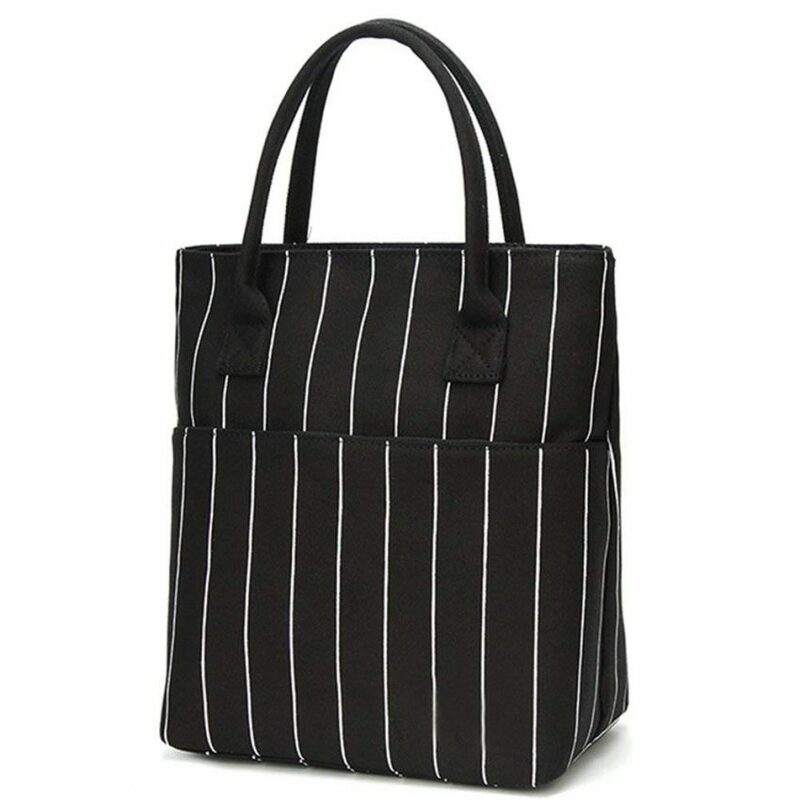 Another option that doesn’t specifically look like a lunch box, this striped bag has plain black and white stripes, so it can work for both men and women. 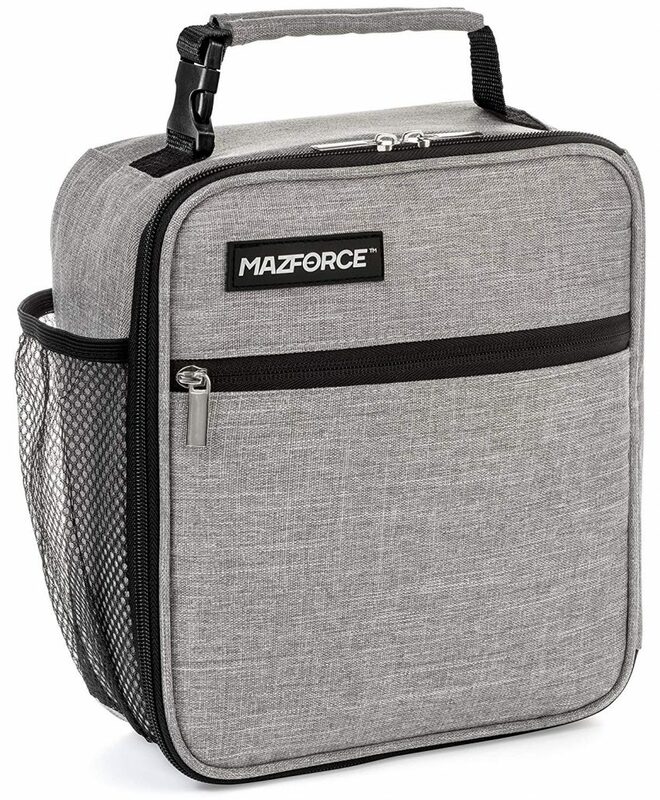 If you need to store your meals in the freezer for any length of time, this lunch bag makes it easy. Just store the whole thing together and the fabric of this bag can hold up to any type of use. This lunch box comes in a different format than many of the others. 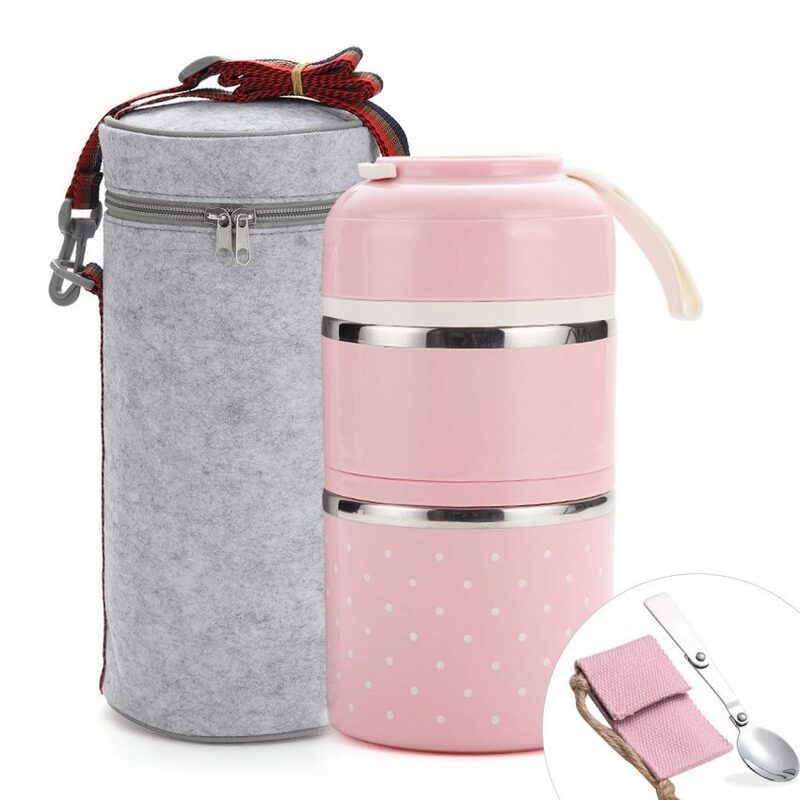 Instead of a single insulated container, it comes with stackable compartments that fit together to look kind of like a large thermos. There are a few different colors and styles to choose from as well. 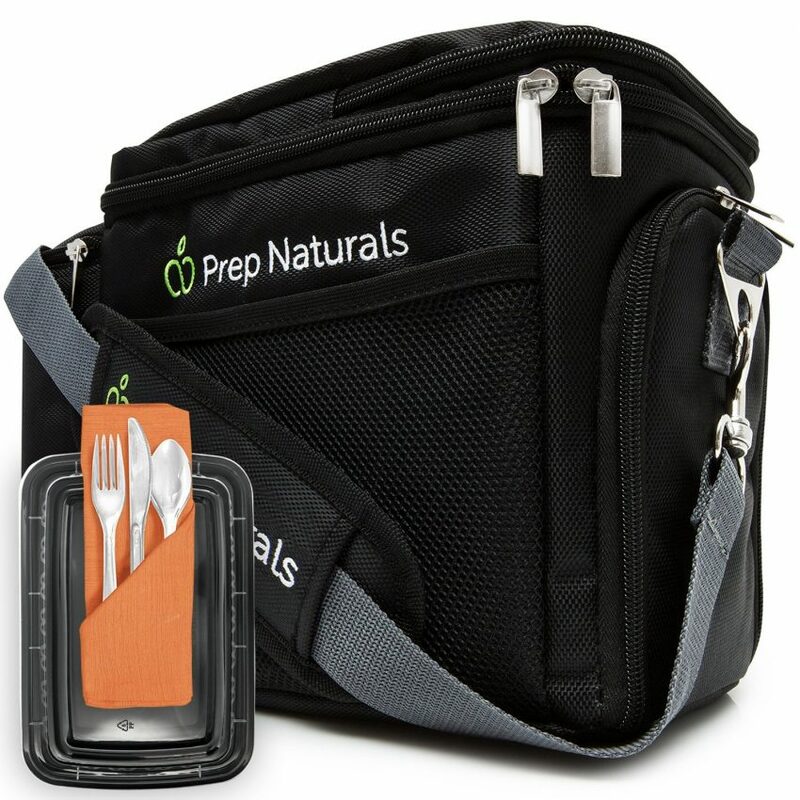 If you like to prepare your lunches at the beginning of the week, this PrepNaturals bag could be the one for you. 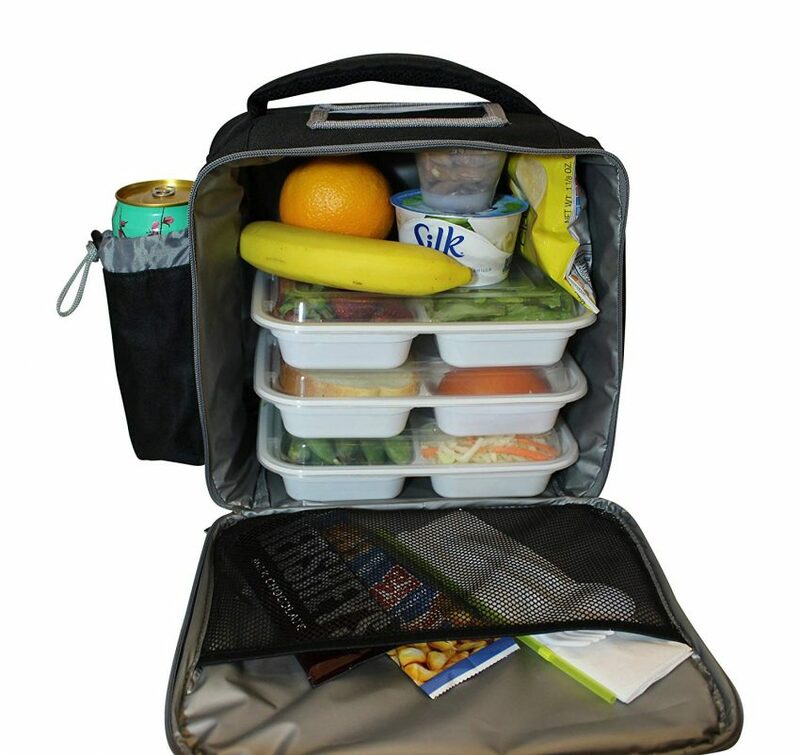 In addition to the insulated cooler bag, it also comes with a meal prep container made with portion control sections and cutlery sets. 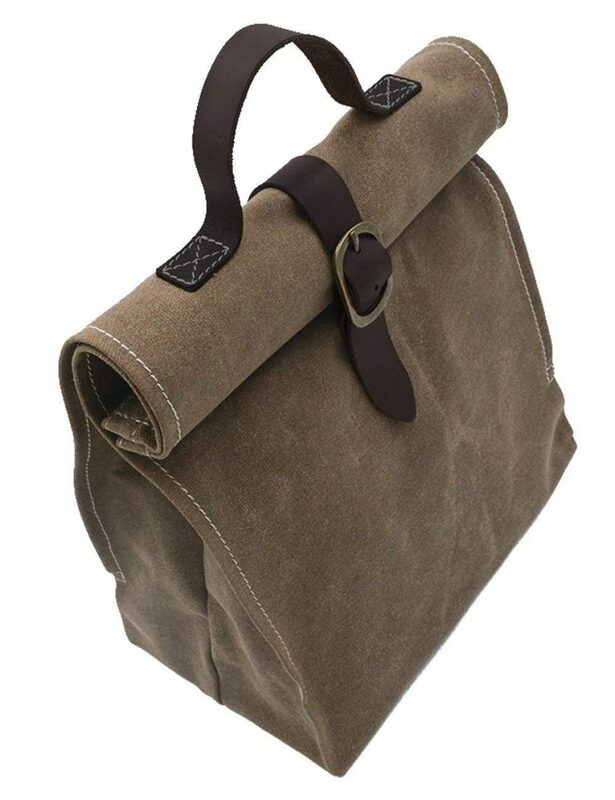 This canvas bag has an adjustable leather strap so it can conform to the exact amount of food you need to pack each day. It has a pretty classic design and is made of durable fabrics. 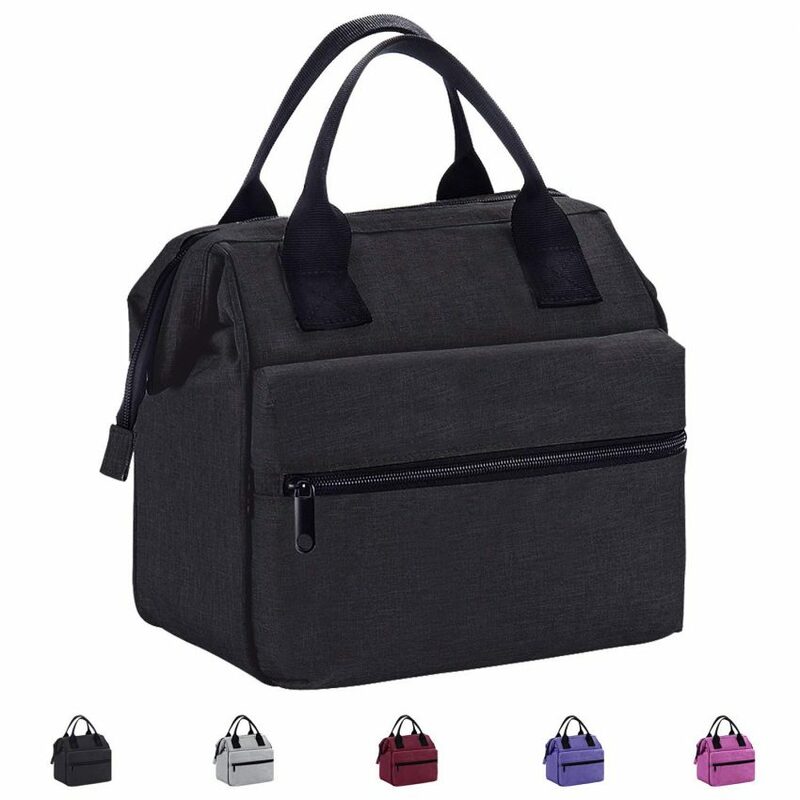 If you don’t want to carry around a bulky bag or have limited space to store your lunch during the work day, this mini bag could be perfect. It has an insulated exterior and comes in a handful of colors. A high capacity lunch box, this product has two separate compartments for you to store different types of food or other accessories. It has a sturdy design and is made of water-resistant material. 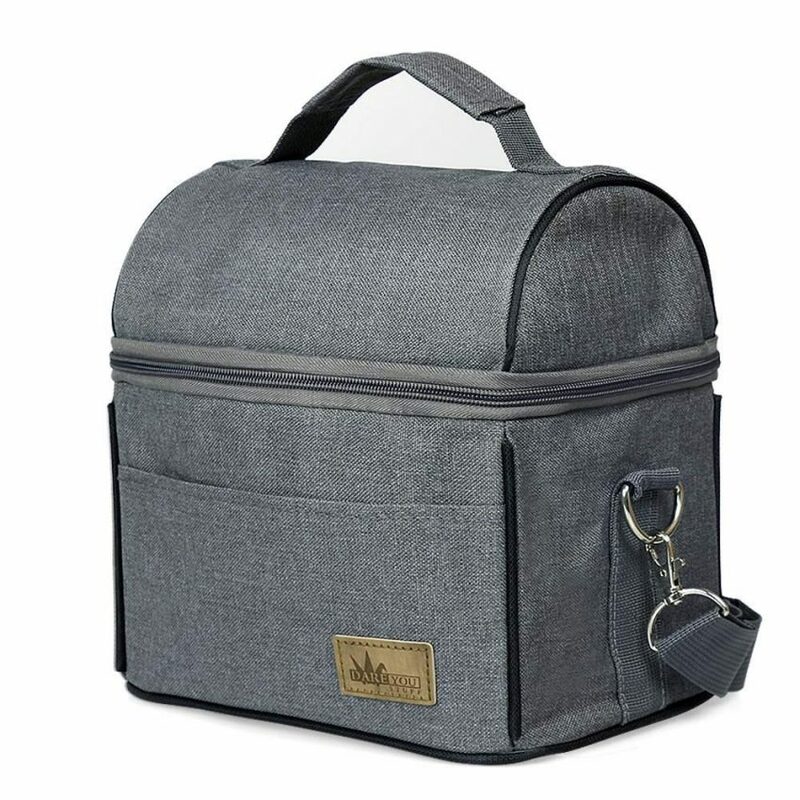 This gray lunch box has a gray fabric exterior with a durable shell and a few different pockets. 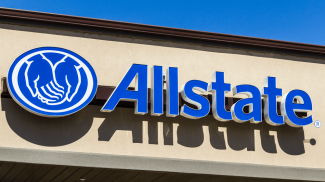 It’s also made of eco-friendly materials for those professionals or business owners who are environmentally conscious. 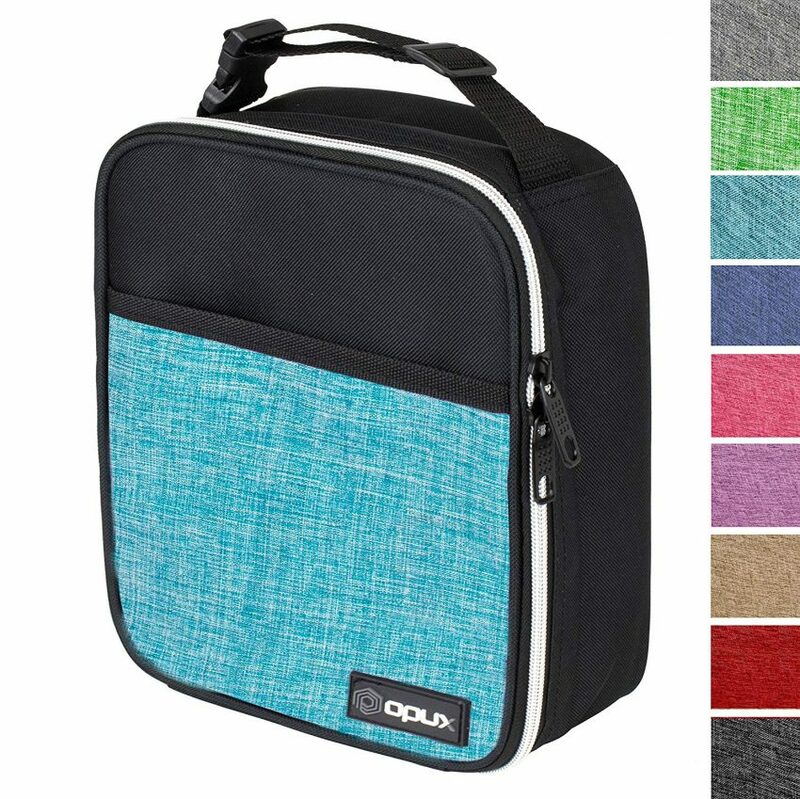 This office lunch bag comes in several different colors so you can match it to your own preferences. 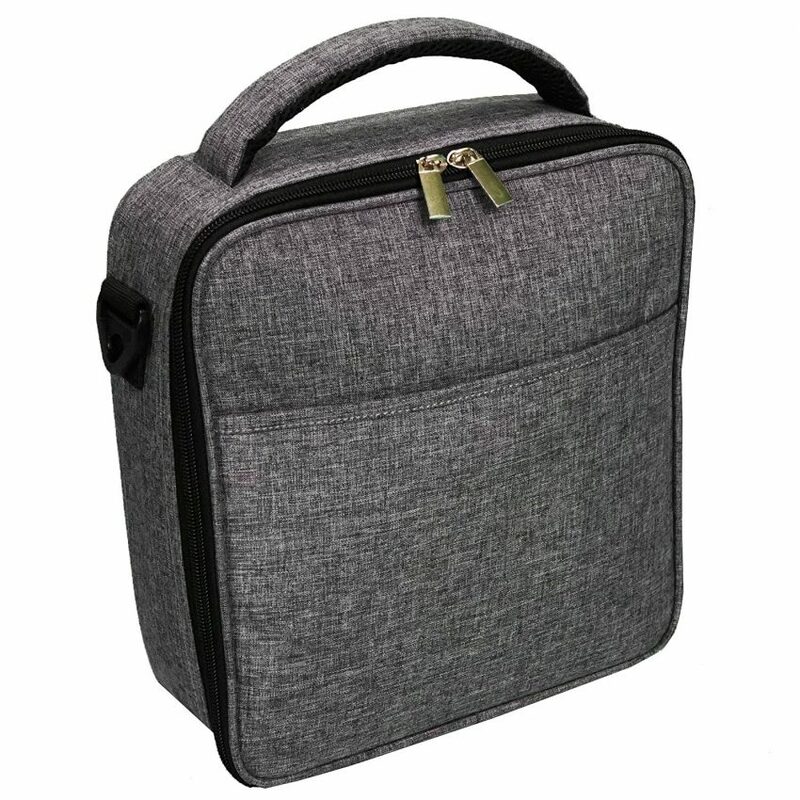 It’s made with durable polyester and is padded to keep your lunch safe in the busy office fridge. For those who want to pack a fair amount of food containers, this insulated bag from LeDish could be the answer. 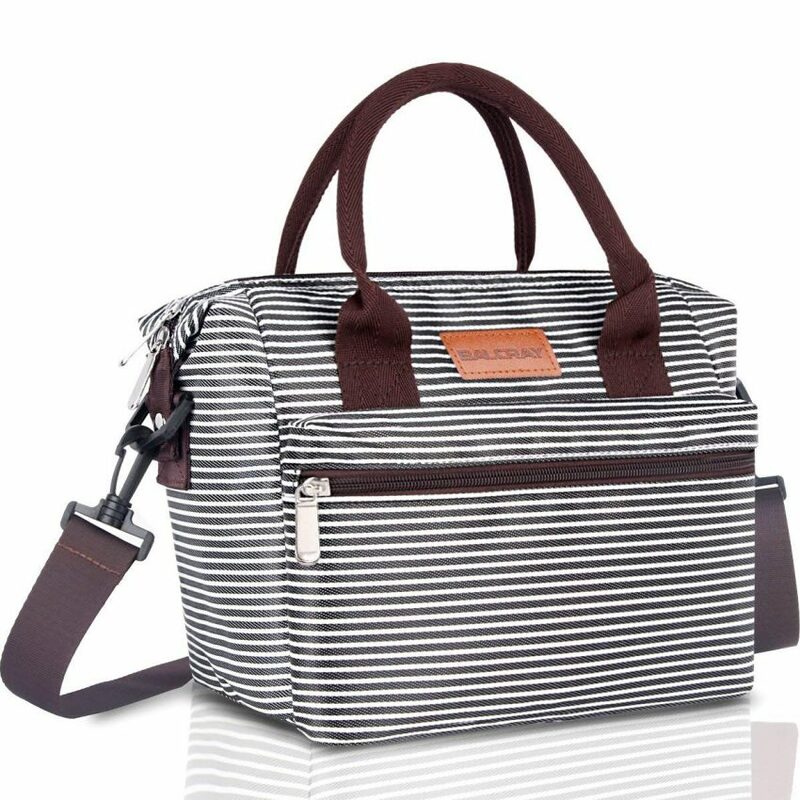 It has a square compartment and drink carrier, along with a detachable shoulder strap and extra pockets. 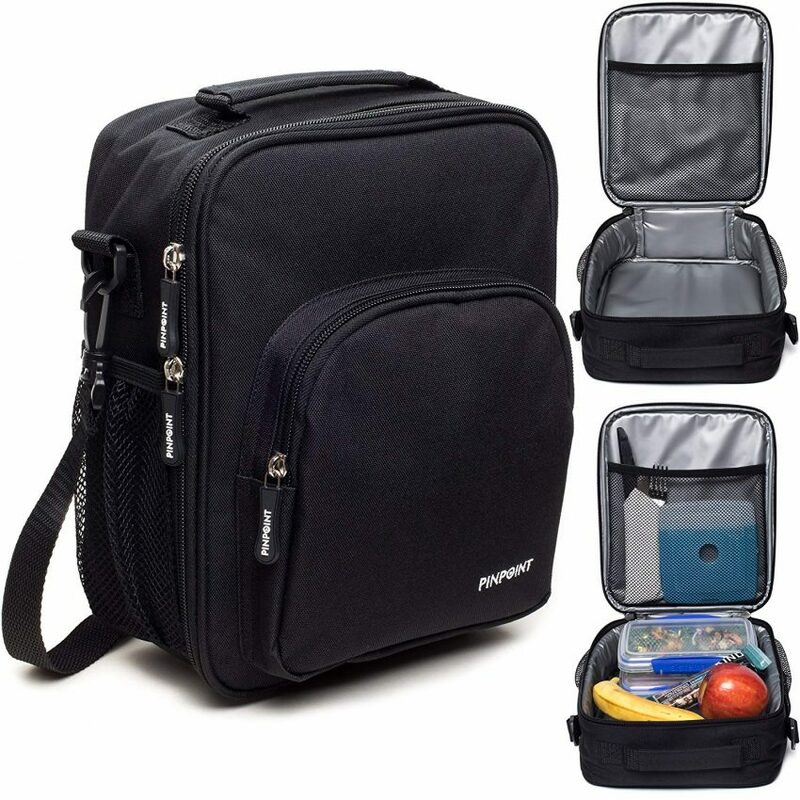 This large bag can hold lunches or a variety of other things. 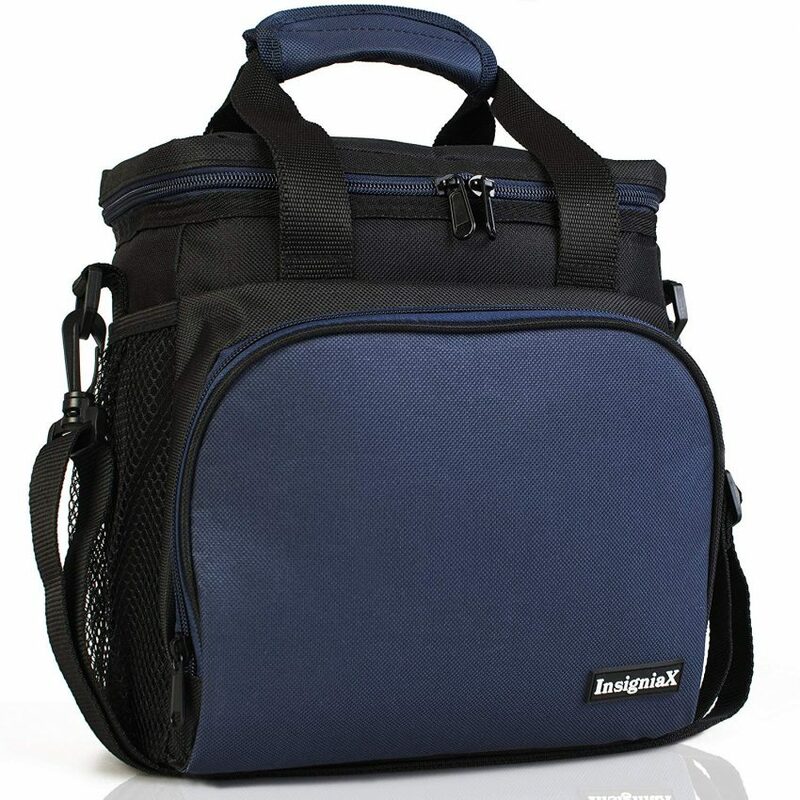 It’s insulated to keep food cold, and has a shoulder strap for easy carrying. The simple stripe design is also fairly stylish but still professional. 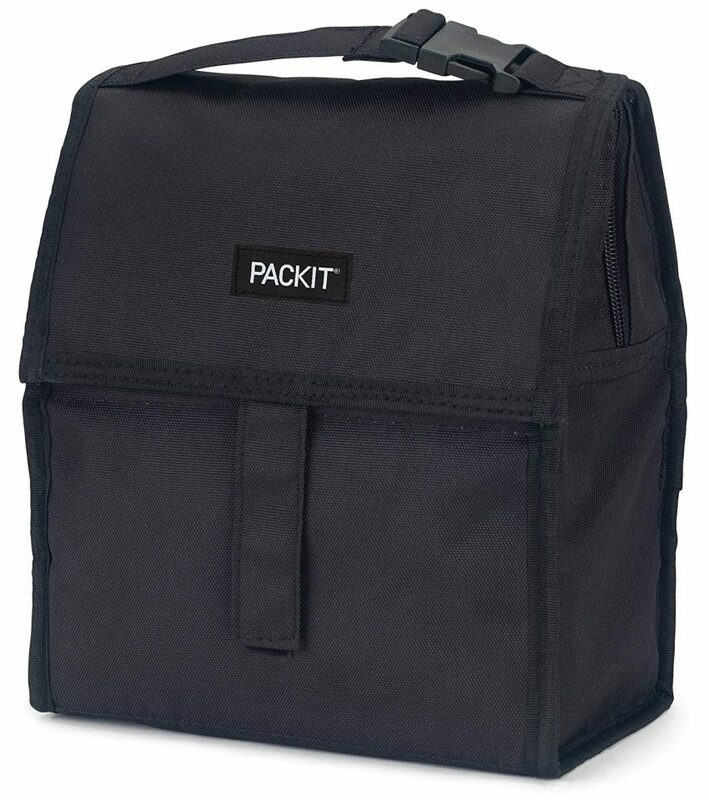 An insulated box cooler, this product has a pretty standard style but comes with several pockets so you can actually use it to store more than just your lunch. 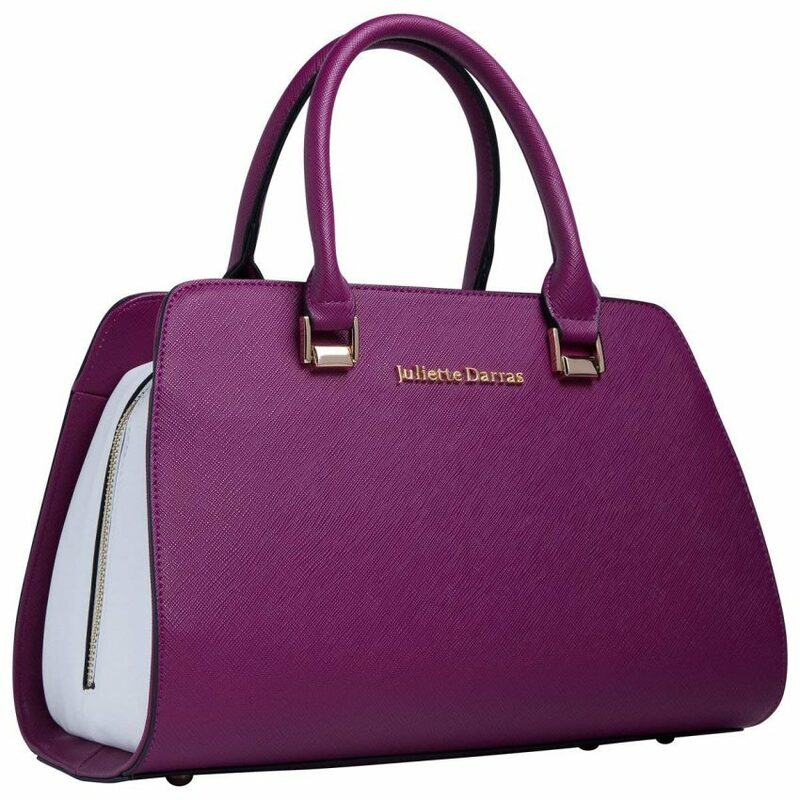 It also has a handle and detachable shoulder strap so you can choose exactly how you want to transport it. Thanks for the list. I think these are good gift ideas for Christmas and they are quite useful too. Would love to have you review the t|wtote for 2019!